One of the great traditions of the Super Bowl comes after the fact, as pundits pick apart and contextualize the play on the field and advertising industry bloviators slap themselves on the back for having spent a shitload of money. The “creative” is explained in the context of each brand identity and the Super Bowl’s larger cultural context, all couched in a milieu of ad-industry jargon and tech-industry analysis. 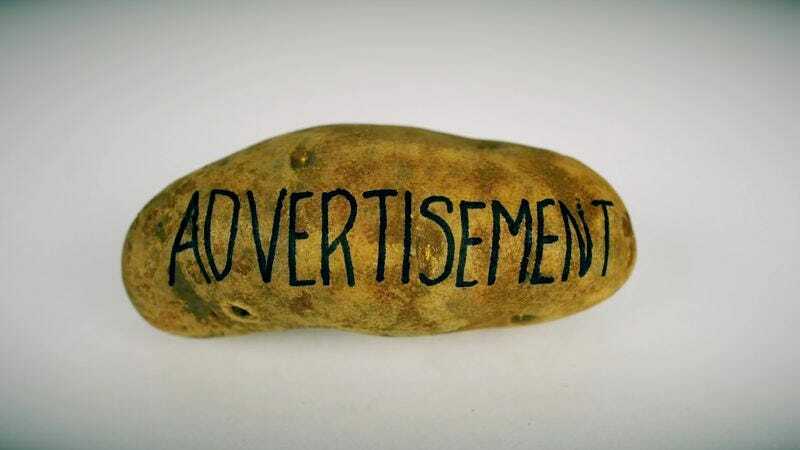 Last night, Cards Against Humanity aired a truly awful 30-second spot featuring a potato with the word “advertisement” written on it. That is it. The joke doesn’t land until you visit this Medium post, which skewers the tradition of advertising postmortems on a platform that is itself ripe for skewering. Medium generally functions as a sort of outgrowth of Twitter—it was started by Twitter’s former CEO Evan Williams—where people go to build their personal brands by narrativizing their various professional accomplishments. It fetishizes “longform content” but is mostly full of career announcements and influencing. They don’t blame all of the failure on external factors, though. It’s a fun subversion of not just Super Bowl advertising but also the breathless excitement around it. It is also likely to be consumed and passed along as thoughtful commentary by clueless advertising creatives in the years to come, helpfully steering them away from making similar potato-based blunders.